Warts are basically bulges on your skin which can also cause a lot of pain. Most warts do not cause many problems and are gone with the passage of time but some can overgrow causing problems. There is a treatment for warts in which the doctor uses liquid nitrogen which is a very cold liquid in-order to freeze them and they can be knocked off easily. This treatment is also termed as cryotherapy. Warts removal Dubai program provides complete information about warts and their different treatments. Freezing warts or cryotherapy is used for treating warts effectively. This procedure usually involves no pain and doesn’t require a lot of time. Keep reading in order to know about warts, their symptoms and how to treat them. What types of warts can be frozen? Cryotherapy can be applied to warts which are on hands or arms easily as they can be easily accessed. Warts on feet or thighs can also be treated via freezing them. Warts that are on genital areas cannot be treated by this procedure. Cryotherapy is usually conducted in your doctor’s office. The doctor basically cuts the wart using a sharp blade or knife and then with the help of cotton swabs liquid nitrogen is applied to warts which later freezes warts and they wear off. The whole procedure is most of the time painless but if pain is experienced an anesthesia is also given some time to reduce pain. Cryotherapy usually requires an hour or so for wart removal and is not at all a lengthy process. 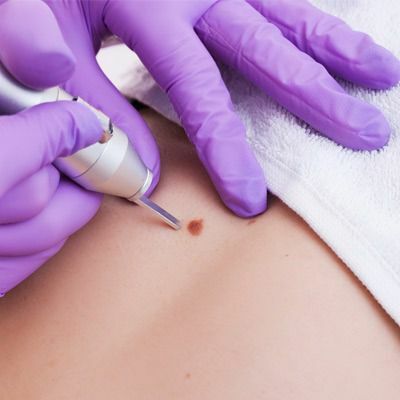 Warts removal Dubai program operates warts using cryotherapy. Can cryotherapy be done at home? As this procedure requires cutting and application of freezing liquid it is not recommended to try cryotherapy at home. This should always be carried out at a professional clinic under the supervision of some specialist. This treatment has a recovery time of almost two weeks. After the treatment, you might experience some pain. It’s recommended to keep the operated area still as much as possible otherwise blisters can appear on your skin In case of a broken blister it’s recommended to clean it off with a wipe to prevent spreading of wart infection. As shown by the studies and judging by its success rate cryotherapy is considered to be very effective in treating warts. A study showed that this remedy showed 86% success rate. Warts removal Dubai program treats warts in clinics with the help of certified professionals. Warts usually appear on hands and skin and go with time but it’s better to get them treated on time before they outgrow their normal size or start spreading in the adjoining areas of your skin. Do you have warts get a checkup to know more about them and how to treat them? Book an appointment today with a professional from warts removal program Dubai and know more about them.